Co-operative Governance School — A Resounding Success! 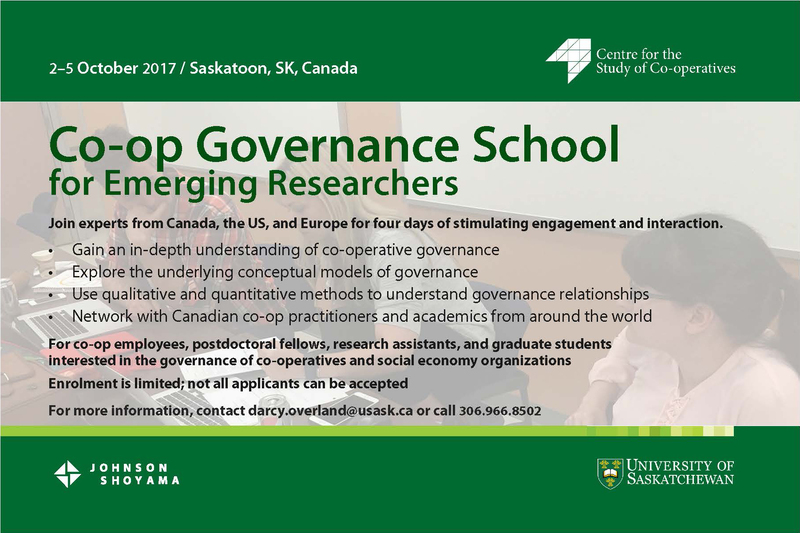 Thirty students from thirteen countries around the world converged on the University of Saskatchewan for an intense week in early October for the Centre-sponsored and -organized Co-operative Governance School for Emerging Researchers. It was a truly remarkable event, with the kind of international pull that only a top global graduate school can exercise; it filled our classrooms and hallways with the excitement of intellectual exchange and an energy that was palpable. The Centre is indeed proud to have attracted this outstanding group of young scholars and to have established the U of S as a leading centre for governance studies.